Making a career as a celebrity is no easy feat -- but then again, living beyond the age of 90 is not necessarily easy, either. These celebrities have managed to accomplish both. Some of these men and women can enjoy a look back at their incredible careers, while others, in spite of their advanced years, continue to entertain. 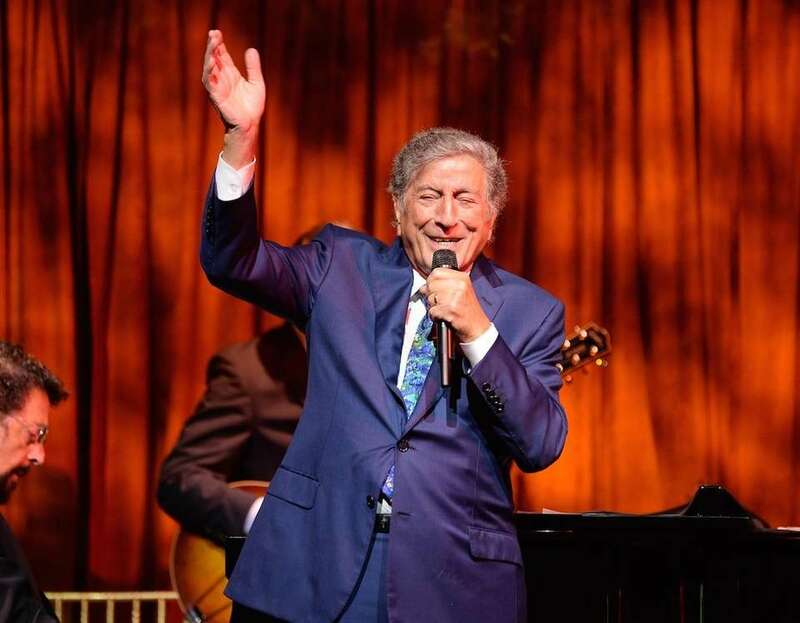 CAREER HIGHLIGHTS: His career of singing music mostly taken from the Great American Songbook has scored Bennett 18 Grammy Awards. CAREER HIGHLIGHTS: A star from the era considered the "Golden Age" of Hollywood studio film production, centenarian Douglas starred in dozens of movies, including "Spartacus" (1960), "Seven Days in May" (1964) and "The Bad and the Beautiful" (1952). CAREER HIGHLIGHTS: An EGOT (Emmy, Grammy, Oscar and Tony) award winner, Brooks is a comedic actor, but most recognized for his film directorial efforts, which include such movies as "The Producers"	(1968), "Blazing Saddles" (1974), "Young Frankenstein" (1974), "High Anxiety" (1977) and "Spaceballs" (1987). He also adapted "The Producers" into a successful stage musical that won several Tony Awards in 2001, which was then re-adapted as a musical film version in 2005. 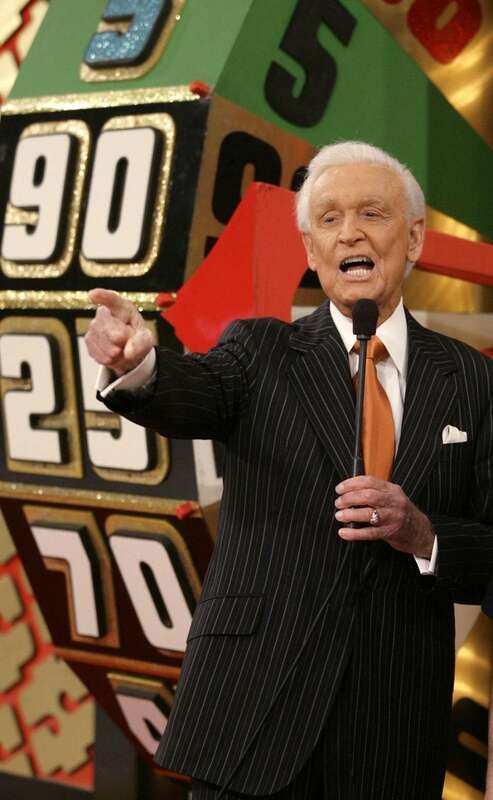 CAREER HIGHLIGHTS: Won 16 Daytime Emmy Awards as the host of the CBS Networks game show "The Price Is Right;" also hosted the syndicated game show "Truth or Consequences." 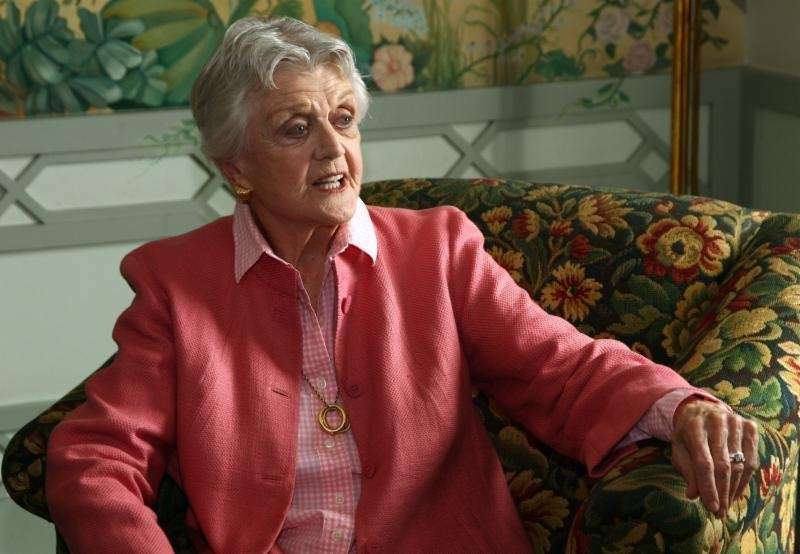 CAREER HIGHLIGHTS: Named a Dame Commander of the Order of the British Empire in 2014, the actress most famously starred as Jessica Fletcher in the CBS Networks program "Murder She Wrote," although her film career dates to 1944, when she was nominated for the Academy Award for best supporting actress for her role in the film "Gaslight." She has also won five Tony Awards. CAREER HIGHLIGHTS: A multi-talented performer, Belafonte, seen here in Berlin on Dec. 6, 2014, was born in Manhattan. As a youth in Harlem, he struggled with poverty and a turbulent family life. Belafonte's career took off with the film Carmen Jones in 1954. Soon after, he had several hits -- "The Banana Boat Song (Day-O)" and "Jamaica Farewell." 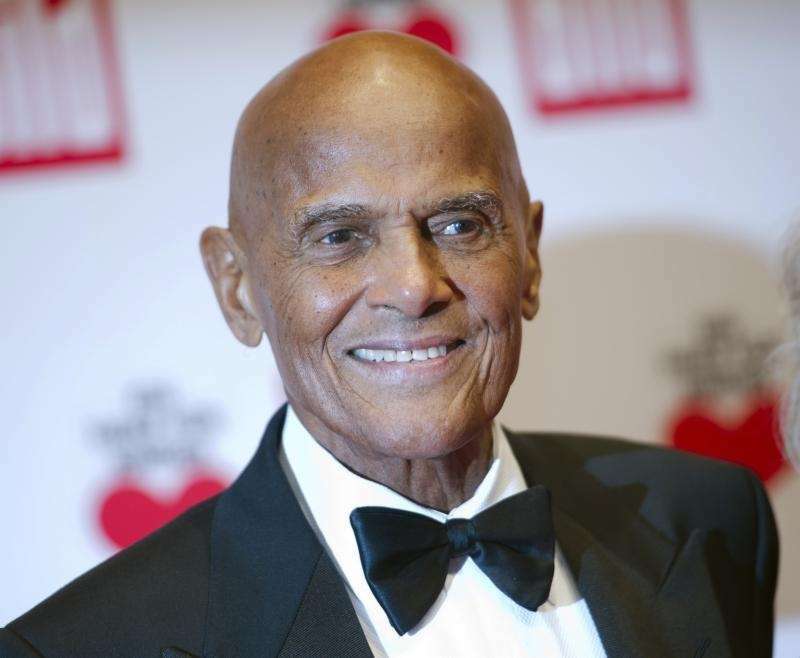 In addition to his acting and singing career, Belafonte has worked as a champion for many social and political causes. CAREER HIGHLIGHTS: From 1947 to 1967, Doris Day recorded over 650 songs between 1947 and 1967, making her one of the most popular singers of the 20th century. CAREER HIGHLIGHTS: A comedian and actor who has provided voice-over work for such cartoon shows as "Tennessee Tuxedo and His Tales," "Underdog" and "Scooby Doo, Where Are You," Storch, seen here on Dec. 2, 1966, is most recognized as Cpl. 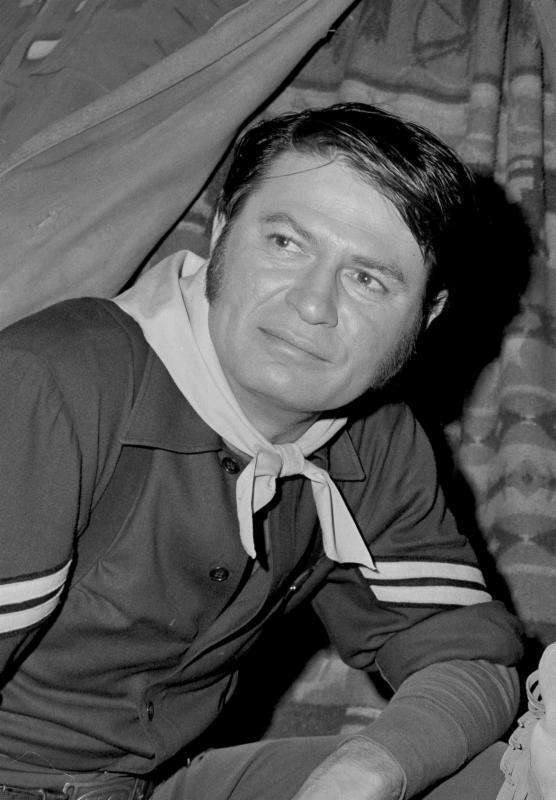 Randolph Agarn on the ABC networks sitcom "F Troop." 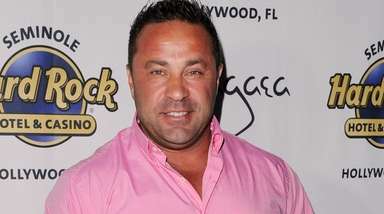 CAREER HIGHLIGHTS: A television host and personality with a resume spanning decades (he once held the Guinness Book world record for the greatest number of hours appearing on network commercial television, more than 15,000), he's best known as a former anchor of the ABC networks news program "20/20." Photo Credit: AP / Douglas L. Benc Jr.
CAREER HIGHLIGHTS: Author of "The Winds of War" (1971), "Slattery's Hurricane" (1956) and "Marjorie Morningstar" (1955), the centenarian writer won a Pulitzer Prize for his 1951 novel "The Caine Mutiny." 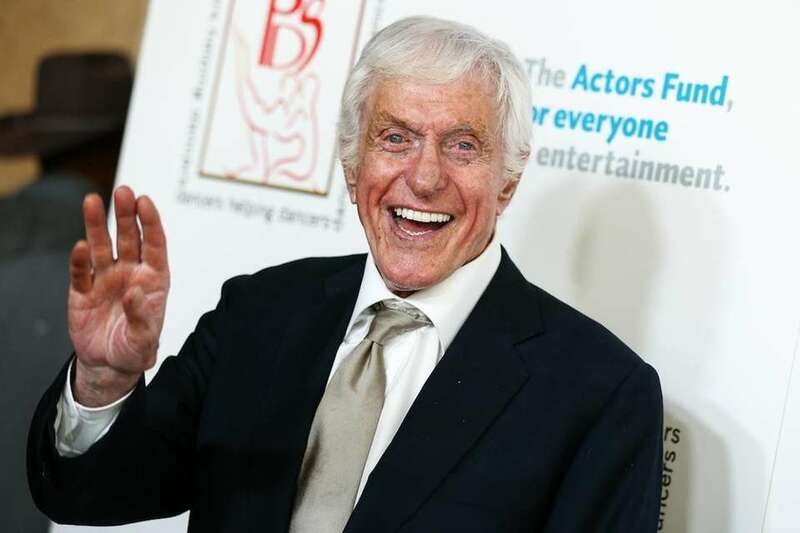 CAREER HIGHLIGHTS: Star of stage, film and television, a winner of multiple Emmys, a Tony Award and a Grammy Award, his most notable accomplishments include his eponymous TV comedy show and his role as Bert in "Mary Poppins" (1964). CAREER HIGHLIGHTS: Centenarian de Havilland, left, appeared in dozens of Hollywood films, winning the Academy Award for best actress twice, for "To Each His Own" (1946) and "The Heiress" (1949). CAREER HIGHLIGHTS: Dean Emeritus of the Actors Studio Drama School at Pace University in Manhattan, Lipton is most recognized as the host of the Bravo cable network program "Inside the Actors Studio." CAREER HIGHLIGHTS: Starring in a number of television shows and major motion pictures, Saint won an Academy Award for her work in the film "On the Waterfront" (1955) and an Emmy Award for the TV movie "People Like Us" (1990). 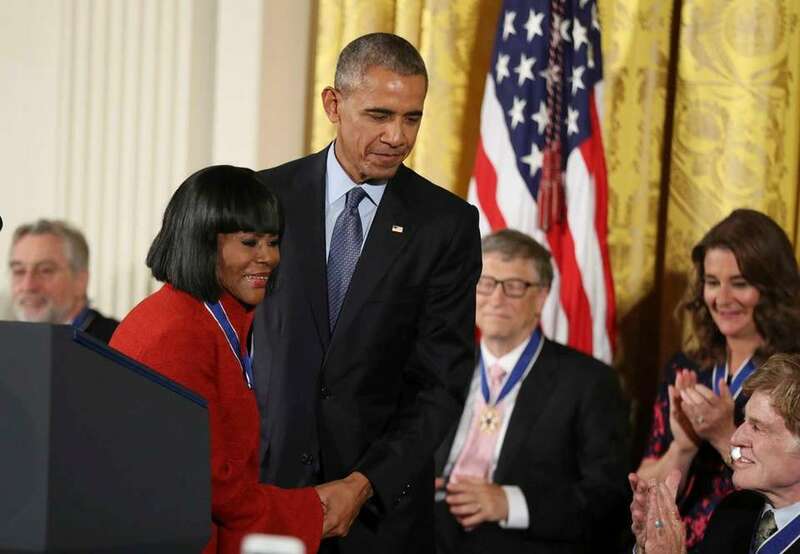 CAREER HIGHLIGHTS: Starring in dozens of television production and such films as "Sounder" (1972), "Fried Green Tomatoes" (1991) and "The Help" (2011), Tyson, left, was awarded the Presidential Medal of Freedom by President Barack Obama during a ceremony on Tuesday, Nov. 22, 2016, in Washington. CAREER HIGHLIGHTS: Named a Commander of the Order of the British Empire (CBE) in 1974, Attenborough has attained international acclaim as a naturalist and host of nature documentaries. 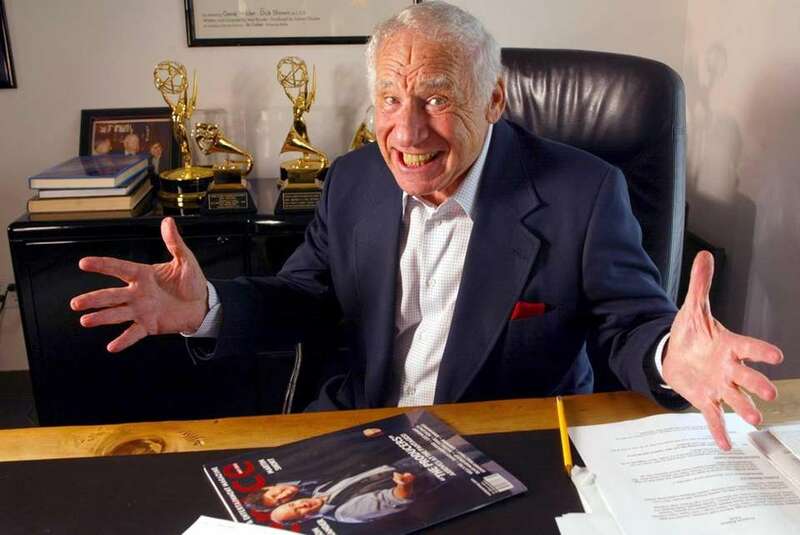 CAREER HIGHLIGHTS: A comedic actor, writer and director, Reiner has won nine Emmy Awards and co-won the 1998 Grammy Award for Spoken Comedy Album (with longtime collaborator Mel Brooks). CAREER HIGHLIGHTS: Winner of eight Emmy Awards, the actress has notably starred in comedic films such as "Young Frankenstein" (1974) and "High Anxiety" (1977) but won an Academy Award in the 1971 drama "The Last Picture Show." Leachman also appeared as a contestant on the ABC network reality competition series "Dancing with the Stars" in 2008 (at the age of 82). 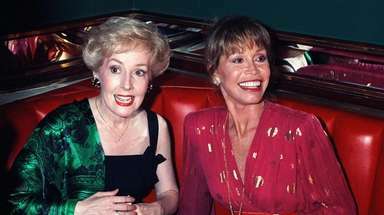 Betty White through the years Here's a look at actress/comedian/former TV host Betty White's career. Celebrities who died in 2018Remembering Penny Marshall, Stan Lee, Stephen Hillenburg, and more. 58 celebrities who died youngTheir celebrity was sometimes brief, sometimes felt for decades. What they had in common was a death that came too soon.